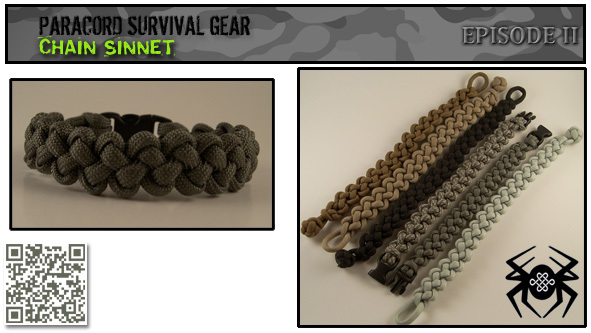 I probably should have made the Chain Sinnet the first episode because it's probably the best survival type knot. I tied different variations of colors and endings. 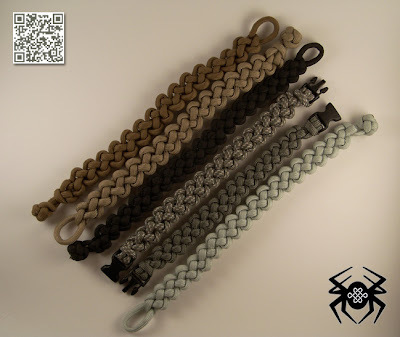 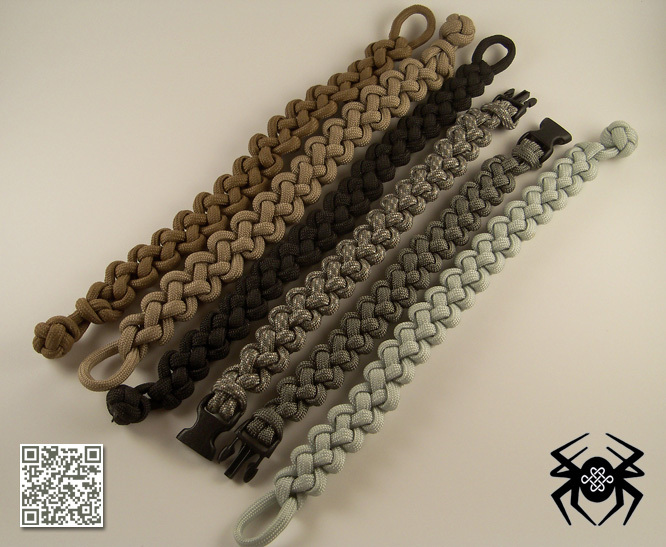 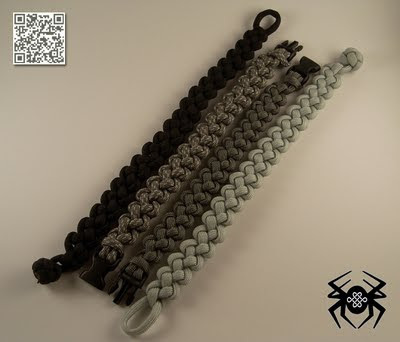 To tie a Chain Sinnet bracelet without the side release buckles, Ken has a great video. 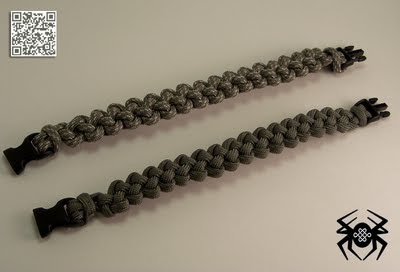 I tied the side release buckle bracelet the same way except when starting and making the loop for the closure, I tied a Cow Hitch knot using the loop and then it was pretty much the same as the video. 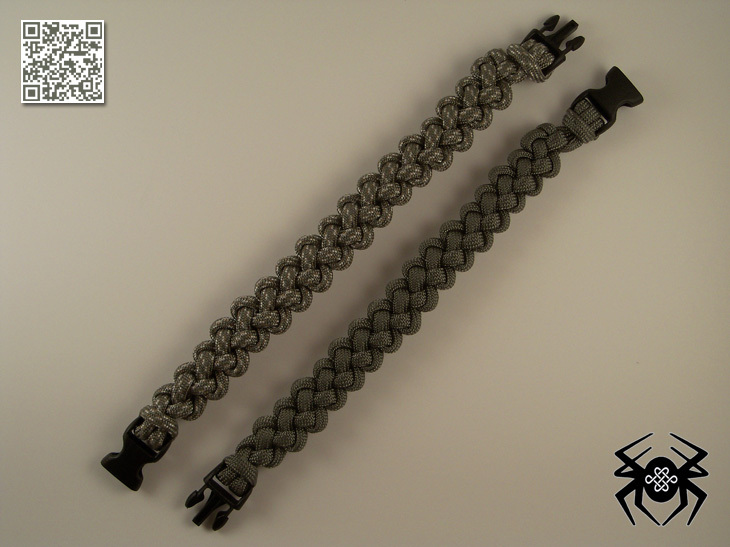 Notice that some of the ties were tied more loosely which fits the wrist more comfortably. 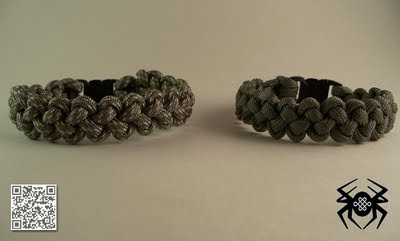 Also when using the Acu Digital paracord it is much stiffer than regular paracord.